Chobe National Park Budget Safari. Chobe national park in northern Botswana has one of the largest concentrations of wildlife on the entire African continent. Our recent self drive safari here did not disappoint! We were travelling in the rainy season, the wrong time for seeing animals. Since there is water everywhere animals don’t have to congregate around a waterhole. The bush is very dense and this makes spotting difficult. We had a disappointing time in Etosha national park, with a lot of rain and not seeing a large variety of animals. This safari started out right, with low expectations. We started driving early, thinking the most animals are active early. 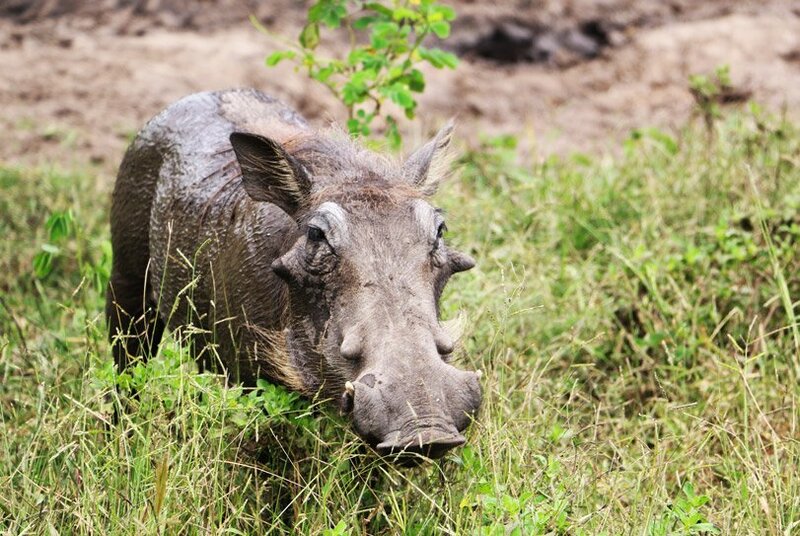 Until about 11am we saw mostly springboks, warthogs and the odd hippo. 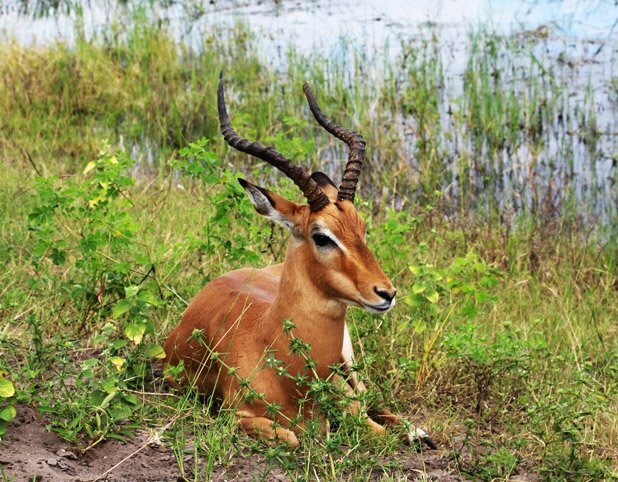 We hope our Chobe safari guide will help you to plan your visit to this amazing National park. This did not have us very exited, since these walked around our tent some nights. The action started with a bang when out of nowhere we had two lionesses walking right next to our car! It was as if all the animals woke up at about 11! We decided to drive back to the waterhole. 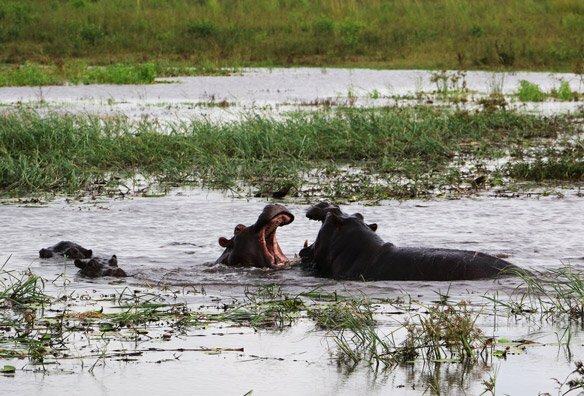 There were now hippos mating in the water and walking around outside the waterhole. 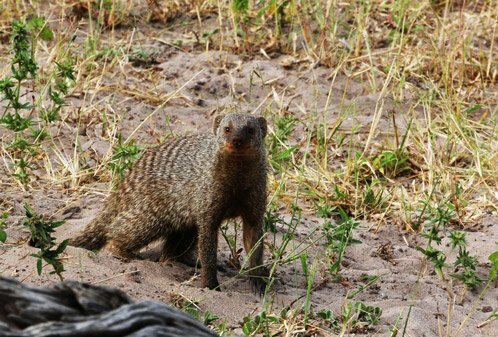 Many elephants, buffaloes, giraffes, striped mongoose, wildebeest, warthogs, roan, sable antelopes, kudus, baboons and many more animals and birds were everywhere. 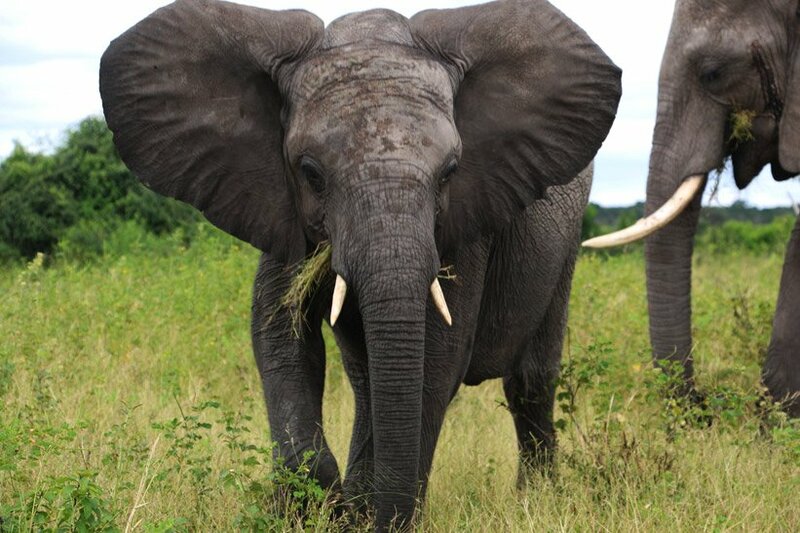 There are more than 120 000 elephants roaming aroune Chobe, the largest population in Africa. This is also an excellent park to spot predators – such as lion, leopards, cheetah and wild dogs. Park fees: BP110 ($11) per person, BP70 ($7) car fee. Main entrance is at Sedudu Gate in the north-east of the park near the town of Kasane. There are a number of different gates where you can pay your park fees and enter the park. The main entrance is at Sedudu Gate in the north-east of the park near the town of Kasane. Then there is Ngoma gate near Namibia, which can be accessed by the public road that runs for 54 kilometres through the park and is used by visitors from Namibia and those stating in the Chobe Enclave. The southern entrance to the park is at Mababe gate along a route that connects with Moremi Game Reserve. This gate is 56km south of Savute. 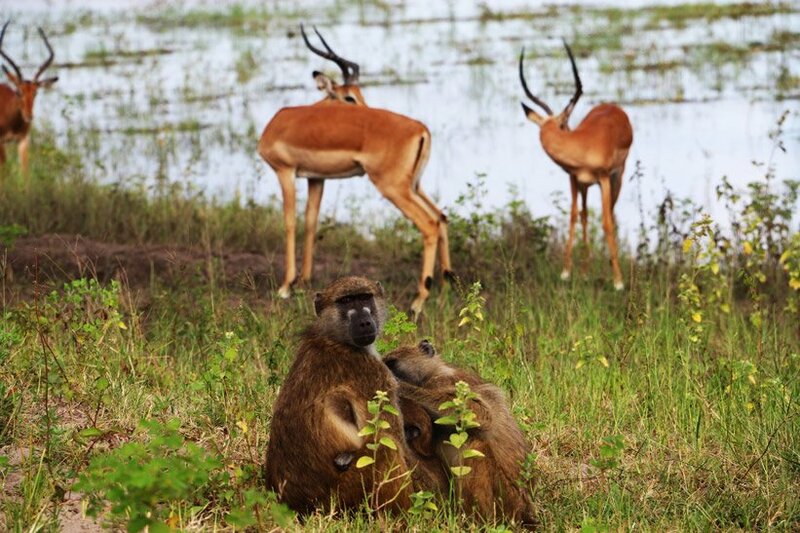 The dry season, from May to October is the best time for game viewing with animals concentrated around the Chobe river. 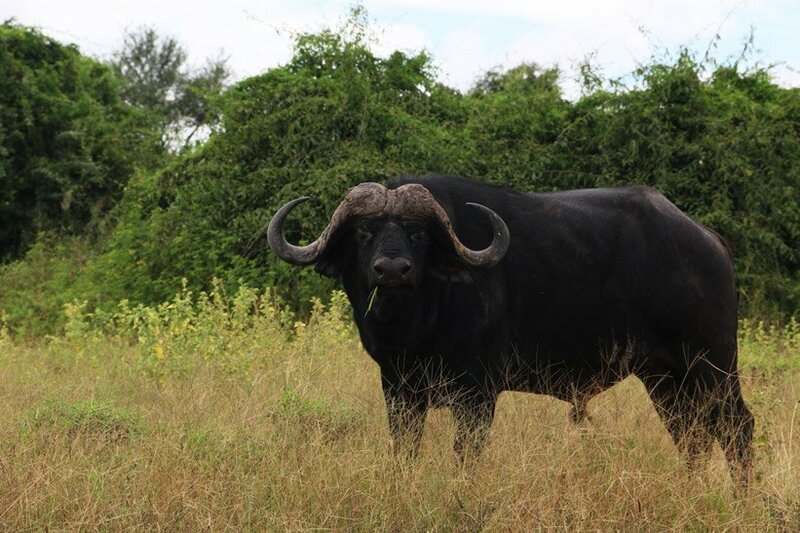 August, September and October are very hot, but offers the best game viewing. In the rainy season from December to March the animals disperse making viewing harder, but these are the best months for bird watching. November to February is baby season in the Savuti as impalas, wildebeest and other herbivores calve. This can also be an exiting time to watch predators! Game viewing in Chobe can be done from land or from water for a very different experience. We camped at The Big Five Chobe Lodge in Kansane. 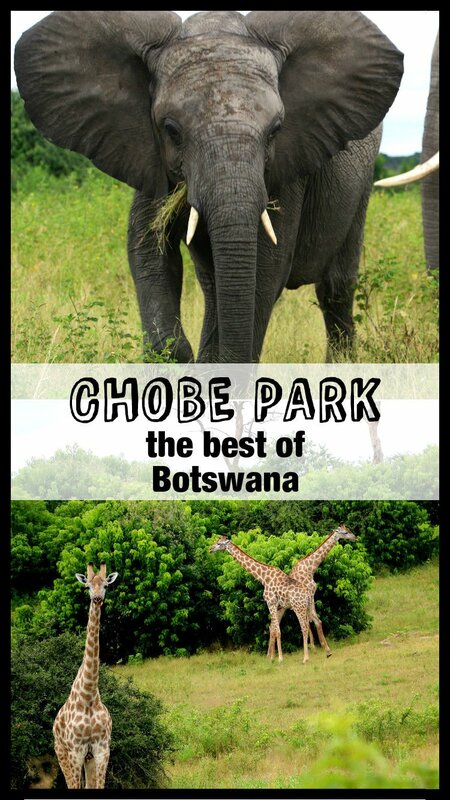 The town is ideally situated for day trips to Chobe park or Victoria Falls. 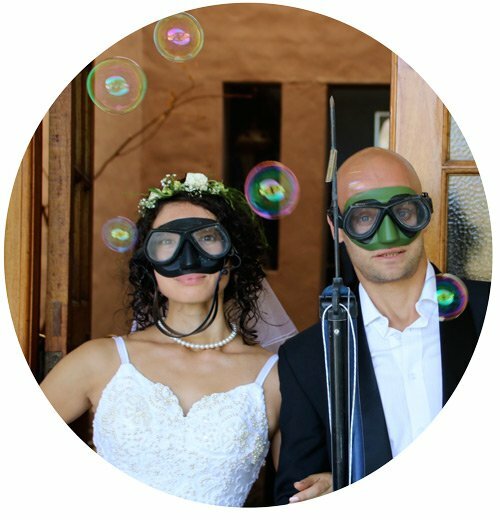 It is 3km from the border of Namibia, Botswana and Zimbabwe. The campsite is great, every site has its own bathroom, kitchen and electricity BWP 130 ($12) per person. Camping was great, but Chobe also has great luxury safari lodges from where you can enjoy the bush in style. If you’re planning to drive through Caprivi strip before or after Chobe check our Caprivi road trip atricle HERE.